Coatham (Christ Church) Churchyard. 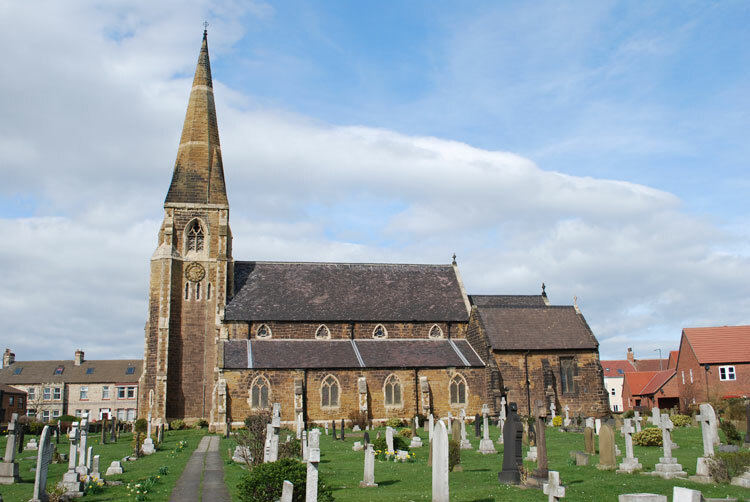 There are 21 Commonwealth War Graves in the Churchyard, relating to both the First and Second World wars. Two of these graves are for men of the Yorkshire Regiment from the First World War, and one grave is for a Green Howard of the Second World War. Additionally, there are two family memorials to soldiers of the Yorkshire Regiment who lost their lives in the First World War. We are very grateful to Ray Wilkins, (<e2ray3636@ntlworld.com>), who has taken all of the photos on this page..
To view a larger version of a photo below, simply click on the thumbnail image. Close the new window that opens to return to this page. Company Sergeant Major William Ballantyne. 8551. Yorkshire Regiment, transferred to 515859 Labour Corps. Husband of Jane Ann Ballantyne, of 58, James Terrace, Warrenby, Redcar. 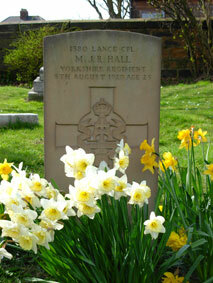 Died at home 7 November 1918. Aged 47. Born Paisley (Renfrews), Enlisted Redcar (Yorks). 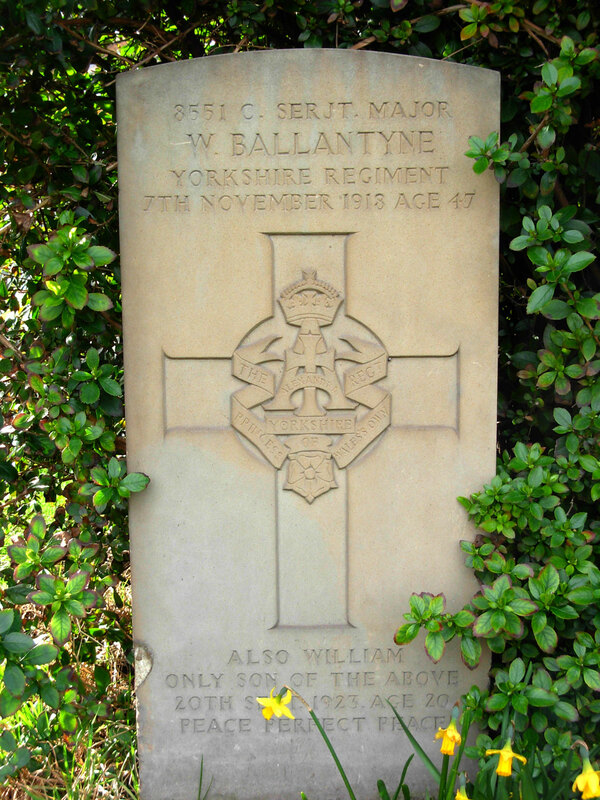 Also recorded on the headstone is William Ballantyne, only son of CSM W Ballantyne, who died on 20 September 1923, aged 20. 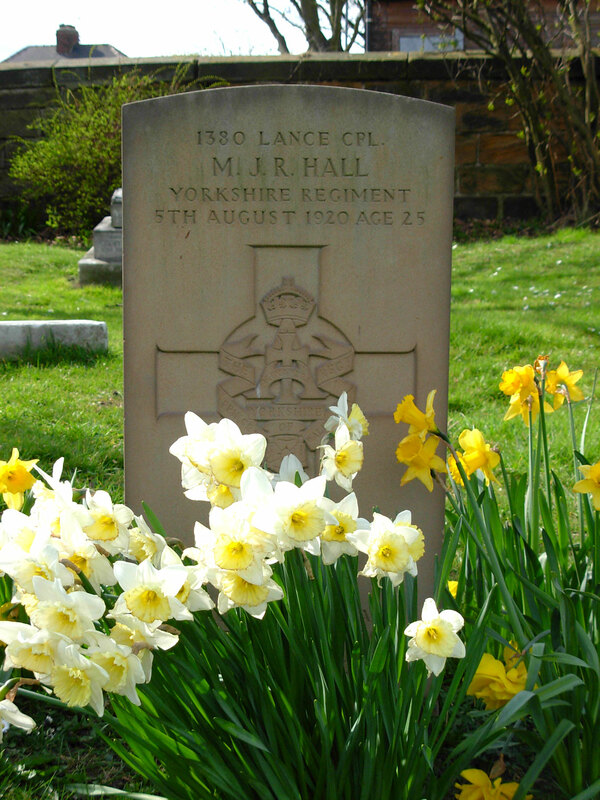 Lance Corporal Matthew J R Hall. 1380. 4th Battalion Yorkshire Regiment. Husband of Mabel Hall, of 6, Westbourne Grove, Redcar. Died at home 5 August 1920. Aged 25. 7th Battalion Green Howards. 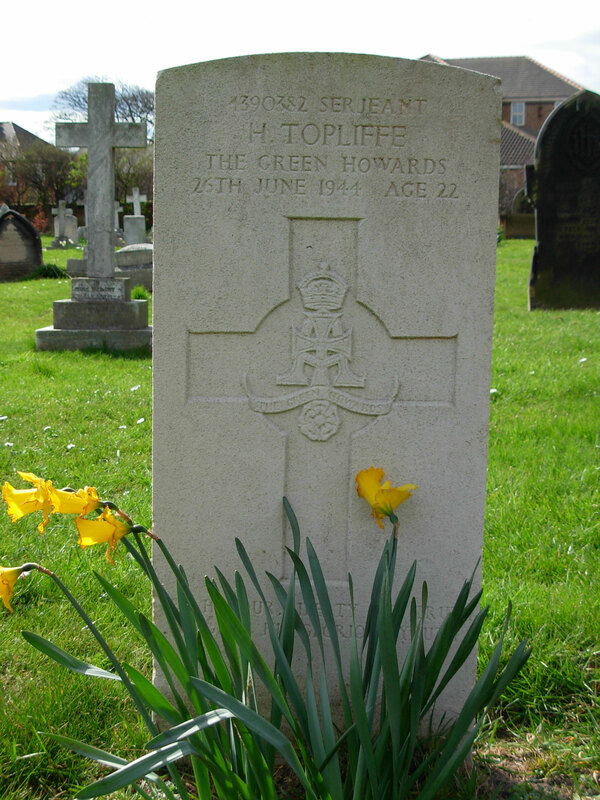 Son of Henry and Florence Topliffe, of Dormanstown. Died at home 26 June 1944. Aged 22. NORAH CASLEY B. SEPT. 11TH 1882 D. DEC 4TH 1897 "IN PEACE"
MARY ELEANOR CASLEY BORN 20TH JANUARY 1854 PASSED AWAY 5TH APRIL 1938. Lieutenant Hugh de Chastelai Casley. 6th Battalion Yorkshire Regiment. 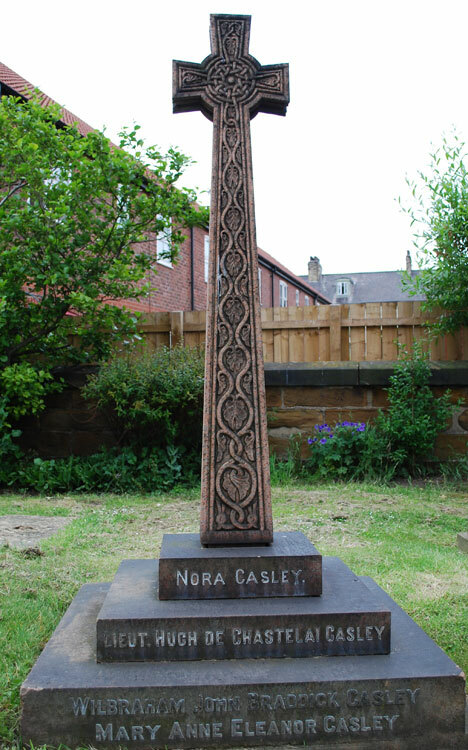 Son of Mrs. E. Casley, of 5, St. Vincent Terrace, Coatham, Redcar, Yorks, and the late Mr. W. J. B. Casley. Killed 7 August 1915. Aged 28. Commemorated Panel 55 to 58, HELLES MEMORIAL. "SAFE IN GOD'S LOVING CARE"
ALSO WILLIAM LEVI RODMELL, SON OF ABOVE, DIED JULY 6TH 1916 AGED 19 YEARS. Private William Levi Rodmell. 3025. 5th Battalion Yorkshire Regiment. 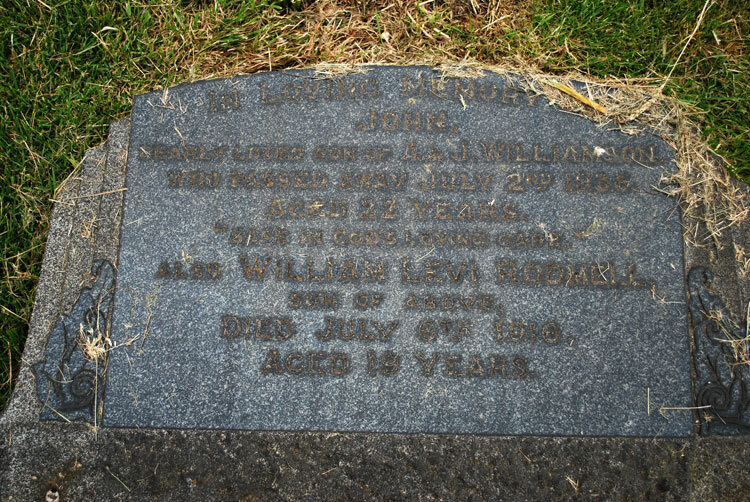 Son of James William and Eliza Jane Williamson (formerly Rodmell), of 13, Seal St., Warrenby, Redcar. Killed 5 July 1916. Aged 18. Buried LA LAITERIE MILITARY CEMETERY.